Our September meeting will be held this Monday evening at 6:30 P.M. (September 13) at the Catfish Village in Silsbee on Hwy. 96. We will not have to pay for the meeting room although everyone should try to eat there that night (they have specials going on now like $6.95 per person). At least you won't have to bring any food with you. Our special guest will be our own SENATOR ROBERT NICHOLS. So call everyone you know and urge them to attend. He assured me that he will talk on whatever subject you want him to and will answer any questions you might have. State Republican Executive Committeeman David Bellow will also be there to speak about the Republican Party of Texas and what is heppening in the SREC. We also want to plan our strategy for getting our Republican candidates elected in November. There is strength in unity and together we can get out the vote! We want to show Hardin County that we Conservatives are a force to be reckoned with! Also, State Republican Executive Committee Members David Bellow and Diane Caron will be there to present Pam Hartt with her check for her race. 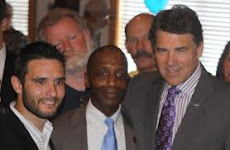 The Republican Party of Texas Supports Republicans running against local Democrats and they have a fund set up to help. Pam Hartt took that step forward and the Republican Party of Texas would like to help by sending the SREC Members David Bellow and Diane Caron to present this check to Pam. Please plan to be there and support our candidates! Also, let Sue Cleveland know if you plan on attending, so that the restaurant will be able to have the proper wait staff that evening. Looking forward to seeing you all Monday night. จีคลับ Gambling is very easy. There are gambling games that will enjoy playing every day. Enjoy more gambling with more gambling games to play every day. All the time, it is easy to gamble every day. With playing to like to make a better income. Enjoy real gambling games at home. In addition, it is interesting to the human body with a seven-color aura because the aura is derived from the sun. It produces both light and sound waves. We can see the object in various colors. The human body has an aura inside the body. But can not see with the naked eye. Measurement is required for processing. The color of the aura can tell the relationship of the body, health and mind.